In the pasture, they have their individual strengths, but together they can do something unique, make good, high protein forage with limited input. 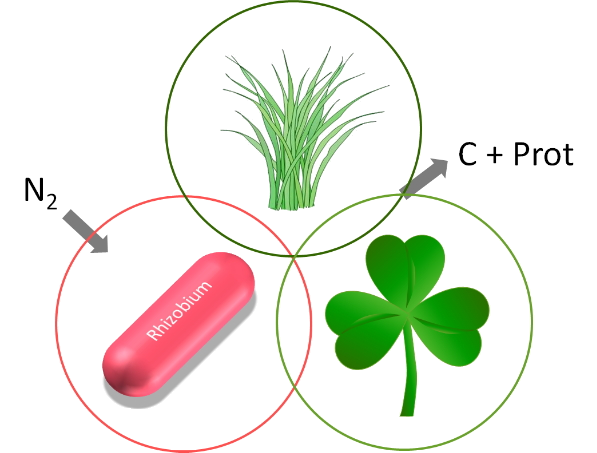 A new research project called NCHAIN is going to explore the interplay between grass, clover, and Rhizobium in an attempt to find the most optimal combinations. Maintenance of a positive nitrogen balance is one of the great challenges in organic plant production. This challenge is at play every time nitrogen is removed through the harvested plant material without equal substitution with fertilizer nitrogen. In this scenario, the grass-clover field really has its strength, as it is self-supplying almost all the necessary nitrogen. Usually, we think of clover as the active supplier of nitrogen, but actually it all starts with a small and unobtrusive actor; Rhizobium, which fixates atmospheric nitrogen inside the clover root nodules. This unique cycling is now subject to a major investigation with the objective to reveal the genetic factors, which will ensure the most successful interplay and thus the highest yield and the best protein supply. The aim is to make a statistical model, which can be used to select the grass- and clover breeding lines, which utilizes Rhizobium best. 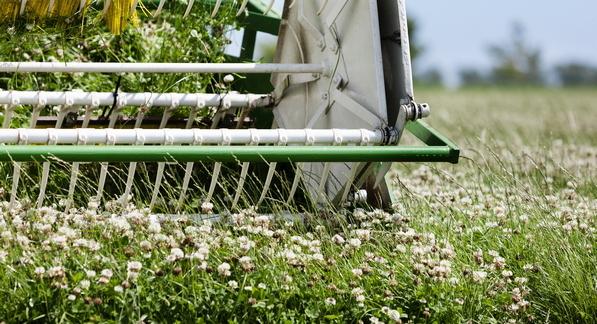 In order to do so, breeders and scientists will make systematic collections- and DNA sequencings of different Rhizobium strains, grass- and clover varieties to make unique gene profiles for each organism. These profiles will be linked to the screening results of thousands of combinations between the three organisms. At later stages, superior selections will be tested in the field. The project has a budget of 17 M DKK, runs over four years and receives financial support from the Danish Innovation Foundation. It is led by Aarhus University, Denmark, in collaboration with DLF, the University of York, UK, Legume Technology, UK, and SEGES, Denmark.